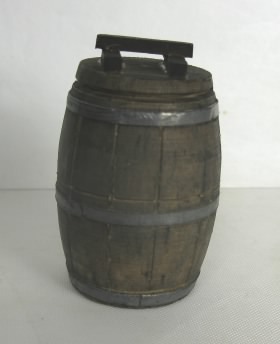 Wooden barrel with metal rings. (Non-opening) Approximately 2" tall. Made in Mexico.